I was recently in charge of crafts at our church’s summer program. 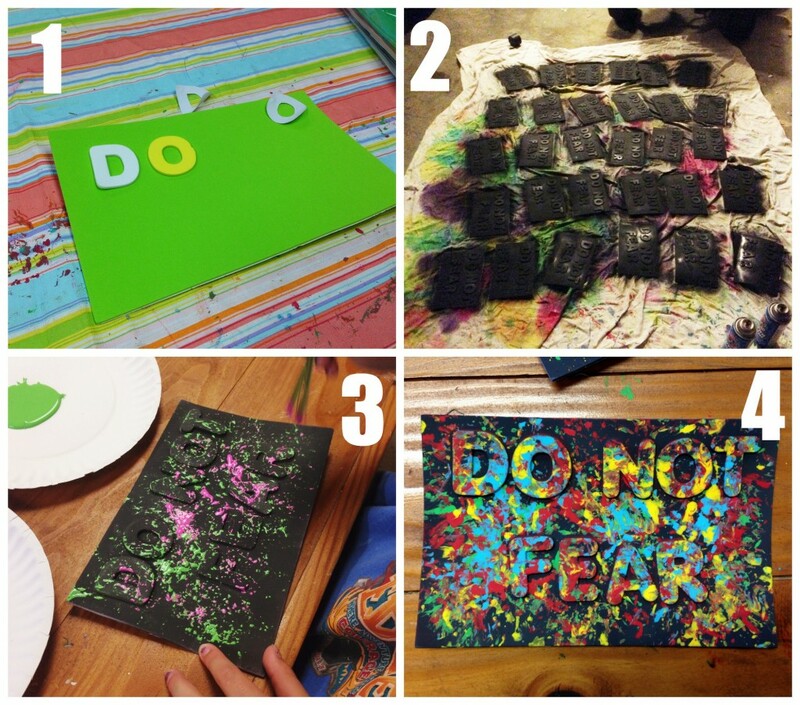 It was all about fear and trusting God, so we made these Do Not Fear art projects. They’re a super-easy version of the bible verse wall art canvases that my children made and sold last year. 1. Peel and stick the words onto the foam sheet. 2. Spray paint the whole thing black (or whatever color you’d like) and then hide those spray paint cans (or else)! (Also I was making a bunch of them, as you can see. You probably won’t need as many). 3. Use silk flowers (we used carnations for some and bulrushes left over from a baby Moses project for others) to dab paint onto the spray painted sheet. 4. Let it dry and then get ready to peel those letters off! Done! See? Super easy…as long as you don’t have to add the time and effort of cleaning spray paint off of your van.